The ADF 3502-() Receiver is designed for professional applications in the frequency range 190.0 kHz to 1799.5 kHz. The system is ideally suited for installations where minimum space is available. The small, lightweight control unit CU 5502 fits into a standard 2 ¼“ (57mm) round instrument cutout and is only 2 ½“ deep. The ADF Receiver can be installed at any convenient place in the aircraft. The RS 422 interface between CU and Rx reduces inter-wiring. The control unit CU 5502 offers a clear, high contrast, double line display, which is readable under all lighting conditions, even in bright sunlight. The frequency can be selected in 0.5 kHz/1kHz, 10 kHz/100 kHz steps by using variable speed frequency control. The pre-selection in the channel memory of the preset display allows instant switchover by pushing a „Flip-Flop“ key to a new NDB en-route for indication of the cross bearing for a position fix relatively to a second NDB. The output of the receiver is compatible with indicator ID 3502 and the converter AC 5303/04 for RMI. The ADF 3500 system features an extensive automatic self-test function. After switch-on, the microprocessor and the frequency synthesizer are thoroughly checked by a test subroutine. 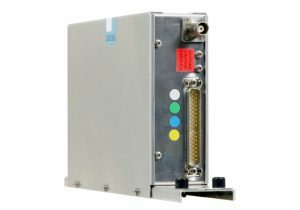 The remote receiver RA 3502-() unit can also be controlled by CDU of FMS systems. JTSO certified for either VFR or IFR use in all types of fixed wing and rotary wing aircraft, the ADF receiver can also be combined with other Becker Prime Line equipment, such as VHF-COM, NAV-VOR/ILS navigation and Mode S transponder systems which have similar control units, providing a pleasant presentation in the panel.